Illustrator: "I Have a Dream: Martin Luther King, Jr.," illustrated by Kadir Nelson, with text by the Rev. Martin Luther King Jr.
"My Family for the War," originally published in Germany in 2007 as "Liverpool Street," written by Anne C. Voorhoeve, translated by Tammi Reichel. Katja Torneman, producer of "Anna, Emma and the Condors"
What are the children's books you remember most? Share your favorites in the comments. Anything illustratred by Garth Williams!! Mr. Dog-The Dog Who Belonged to Himself, Wait Until The Moon Comes Out, The Little Fur Family, all Mrs. Read's books, The Cuckoo Clock (a young orphaned girl goes to live w her maiden aunts who have a magical cuckoo clock into which she is whisked nightly and taught many beautiful lessons by a wise cuckoo, simply beautiful book) and lastly Mrs. Tiggie Winkle by Beatrix Potter. I'm looking forward to reading these books–congratulations to all the winners! While growing up, my favorite book was Goodnight Moon. I loved the pictures and the sweetness of it. Later, Eloise and Madeleine were my favorites, then on to Nancy Drew, Beany Malone, anything by Isaac Asimov...by the time I was 12 or 13, I'd run the gamut. And today? Today I'm reading (again, for the nth time) Catcher in the Rye. Good old JD. 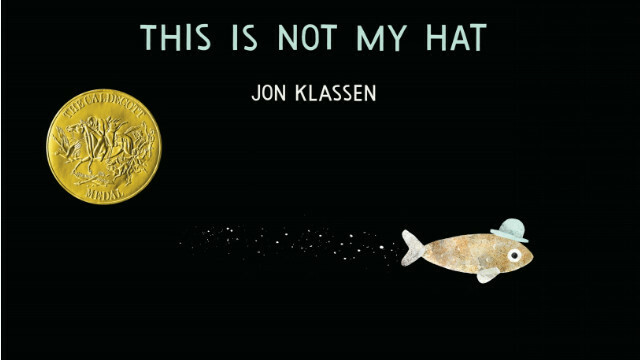 This is not my hat is a beautiful book. I was browsing through a bookstore with my 22 year old daughter and we both stopped at the table with the book and read it all through and left with a big smile. Can't wait for grandchildren to read it to them. I bought this book for my daughter and I love it. Oops I mean she loves it ... haha yes that's what I meant to say. I think the best part besides the obvious is the black background. Must've taken all the ink out of print for everyone else when they made this book !!! Wonderful storyline and a true testament to how very few words can be well executed. Ha, Christina, I announced online earlier to my friends and family with children that they would find their future Christmas gifts from me on that list. Only later did I think, "Perhaps I should've said 'gifts for your little ones?' Hm...nah." 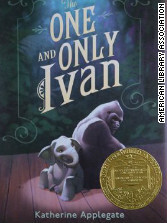 "The One and Only Ivan" is simply one of the best books I've ever read. The story is well-constructed and is beautifully written. Run, don't walk to a library or book store near you to get a copy, you will not be disappointed. Congratulations Ms. Applegate on a well-deserved award! "The One And Only Ivan" is NOT "fictional" as stated in the article. That really happened. "This Is Not My Hat" is very funny. "I Want My Hat Back" by the same author is even better. Thanks for reading, Dave! Indeed, Ivan was a real gorilla - I saw him many times at Zoo Atlanta, and his background was a grim tale - but as the author explains on her site, "The One and Only Ivan is a work of fiction, but the inspiration for this imagined tale lies with a true story... all other characters and situations in the novel are entirely the product of my imagination."